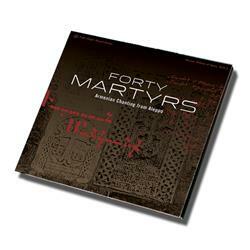 Forty Martyrs: Armenian Chanting from Aleppo, is a beautiful album recorded by Jason Hamacher in 2010 inside the 600-year-old Forty Martyrs Church in Aleppo, Syria, one of the world's oldest cities. 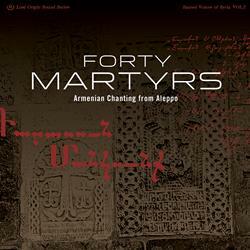 The album is sung in the dialect of Western Armenian—spoken by the Armenians of Aleppo, Syria— which is designated an endangered language by UNESCO, and is expected to go extinct in the next 100 years. These chants are the sounds of the disappearing Armenian community in Syria, making this pre-war recording even more valuable as it documents the songs of a vanishing culture. Mockups are not actual representations of presale items - Actual items may vary. Shipping date subject to change.